Tony Reed is a passionate and highly experienced diver. We are so fortunate to have Tony associated with Scuba Blue; many of the photographs on the site are Tony's and he is always willing to come along and help record the varied events and activities that go on at Scuba Blue. 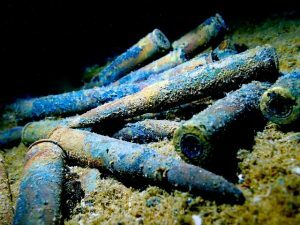 Check out his brilliant website at https://cheapandcheerful.blog/ to see what brilliant photographs can be taken underwater using quite basic equipment. 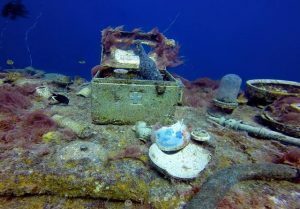 Here Tony writes about a real bucket list dive destination - Truk Lagoon. 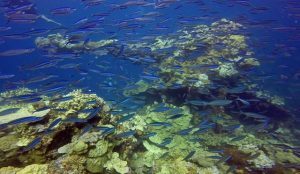 Chuuk lagoon, also known as Truk lagoon' is on many diver's bucket list, and rightfully so. The lagoon is home to a vast number of wrecks that were sunk in 1914 from Operation Hailstone. Hailstone was an operation that lasted 2 days and saw the destruction of the Japanese fleet by the US in retaliation from the attacks on Pearl harbour. 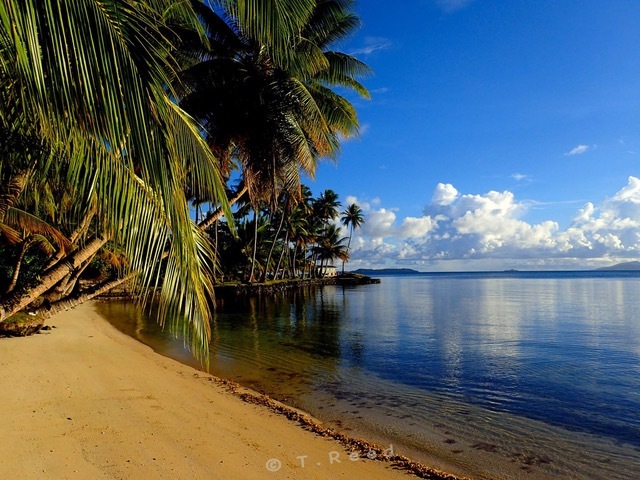 Chuuk Lagoon is one of a small group of islands which form the federated states of Micronesia. Located in the Pacific the distance from the UK makes it a task to get there! My trip there was broken up into 2 days. From Gatwick to Istanbul - Japan where I stayed overnight, then from Japan to Guam and then on to Chuuk. I travelled as light as I could and with different baggage allowances throughout the journey it worked out quite well with a quick swap over of a couple of items in Japan. I flew Turkish airlines from UK to Japan with a 40-kilo allowance. From Japan to Chuuk I flew United Airlines with a 23-kilo allowance but the hand luggage was only restricted to size not weight. So the Olympus TG4 was perfect to take with me! I also took a couple of GoPros for footage and wide shots! Along with a small but powerful video light I had what I needed. This is the setup I now use for my photography! I arrived at midnight and got shown to my room where I quickly found my bed. I woke in the morning to a view that took my breath away..it was paradise..clear turquoise sea, blue sky, green grass and palm trees. I was excited about the day ahead. I made my way to the restaurant for breakfast walking through the lush green trees. There were lots to choose from on the menu which was nice. I also noticed all the information needed for new arrivals on the reverse of the menu so I had everything I needed. After breakfast I got my dive kit sorted and headed over to the dive centre. The set up was really good with a guide and skipper allocated too a small group of divers. For most of the week, I was on the boat with 3 other divers Dean, Sue and Paul. The boat journey to the dive sites is usually no longer than 25 minutes so it's not long before you are descending down the buoy line. 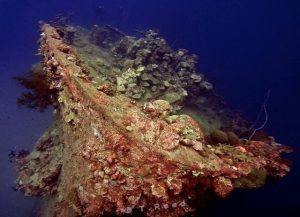 The first wreck was the Fujikawa maru which is a favourite to start with. The viz was pretty good and it wasn’t long before the dark shape below resembled the bow of a wreck. The excitement from the start of the holiday only got more intense as we explored the magnificent wrecks one by one. Trying to take in all the different artefacts that remain on each wreck is a challenge so having a couple of cameras helped a lot with that! Between the 2 dives in the morning, we made our way to Etton island for a surface interval where the locals climbed the trees and cut down coconuts for us all to drink from! it was a lovely way to spend the interval. Etton island was a landing strip which resembled the shape of an aircraft carrier which confused the Americans as they kept bombing the island and reporting back stating it still had not sunk! There are a number of aircraft scattered around the end of the island. The betty bomber, the Emily seaplane, a Zero fighter and some wings of fighters. The betty bomber and Emily seaplane were great dives with quite a bit of life on them. The Zero fighter is in 6 meters of water so was a good surface interval snorkel. Over the 8 days diving, I managed to do 18 different wrecks, some were done twice as a new group came through. 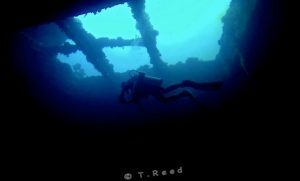 A wreck playground for the metal fans but also plenty of life around the wrecks! Sharks, hundreds of fish shoals and a fair bit of macro! A great combination for the photographer. On the last day after diving, the guide took us to another island for a farewell BBQ! It was an amazing end to a fantastic 8 days diving! On the tiniest island miles from anywhere else sipping beer, eating good food sitting in a hammock watching the clouds go by! Perfect!